Humanities Nebraska will collaborate with six colleges and universities across the state to simulcast the lectures of the 2013-14 E.N. Thompson Forum on World Issues. 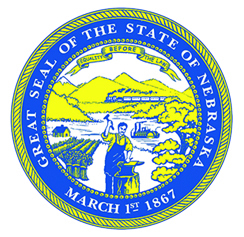 In an effort to allow a greater number of Nebraskans to benefit from outstanding speakers on important topics, the lectures will be simulcast and followed by community conversations at Central Community College in Columbus, Hastings College, North Platte Community College, the University of Nebraska at Omaha, and in Scottsbluff at the Midwest Theater. The University of Nebraska at Kearney will offer simulcasts for three of the five lectures, October 8, November 6 and March 18. Programs begin at 7 p.m. (6 p.m. Mountain Time). Both students and community members are invited to join in viewing the lectures and discussing various implications. The events are free and open to the public. Free tickets are required only for the Lied Center in Lincoln and guarantee a reserved seat there. The series will begin on Tuesday, Sept. 24, with David Wessel, the economics editor for the Wall Street Journal, delivering the Lewis E. Harris Lecture on Public Policy: “On Capital & The Capitol.” Wessel’s book, “In Fed We Trust: Ben Bernanke’s War on the Great Panic,” was a New York Times notable book in 2009. Wessel has also shared two Pulitzer prizes, one for a series on the persistence of racism in Boston (Boston Globe, 1983) and the other for a series on corporate wrong-doing (The Wall Street Journal, 2002). His lecture will address the future of the U.S. economy and the federal deficit, as well as the ways that Congress has reacted to these issues. Wessel will also discuss how the press has adapted to the rise of new media. Tuesday, Feb. 25 – Andrew Bacevich, Boston University, and Derek Chollet, Department of Defense, “The American Military: War and Peace, Spending and Politics,” the Chuck and Linda Wilson Dialogue. The simulcast for Hedrick Smith’s lecture on Nov. 6 will be simulcast at Western Nebraska Community College in Scottsbluff, rather than the regular location at the Midwest Theater. http://enthompson.unl.edu. For more information about the simulcasts contact Mary Yager at Humanities Nebraska, (402) 474-2131 ext. 103 or mary@humanitiesnebraska.org.